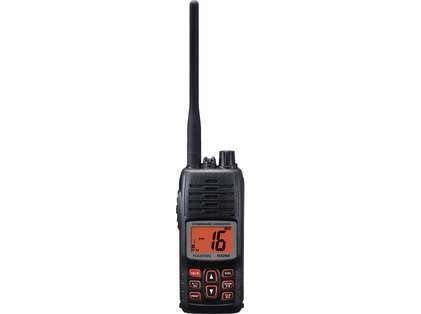 This listing is for a REMANUFACTURED Standard Horizon HX290R Floating Handheld VHF. Available for a limited time while supplies last. Designed from the ground up to float or be able to be submersed in 1.5 meters of water for 30 minutes the HX290 will keep you communicating in the harshest environments. The design of the HX290 fits well in your hand and with large keys and volume knob it is easy to operate even with gloves. The HX290 has a jack which allows optional speaker microphones and headsets to be used. 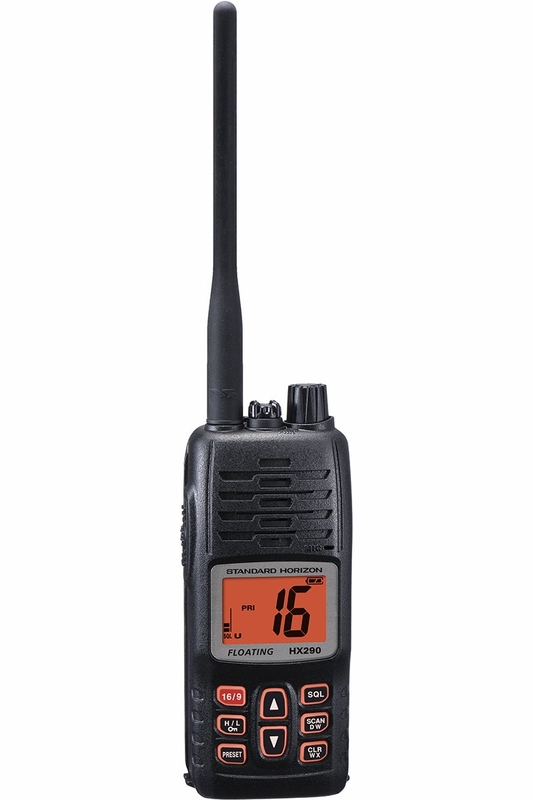 The HX290 includes the best of the basics and also advanced features: Programmable Scan, Dual Watch, Ch16 Priority Scan; NOAA weather channels with weather alert, selectable 5 and 1 Watt transmit power, 10-channel preset key, keylock and a battery life indicator. The HX290 is supplied with a 1140 mAh Li-Ion battery, Antenna, belt clip, AC, DC chargers, cradle with charging indication and wrist strap. Because the HX290 is built better, it’s backed better. If your Standard Horizon HX290 ever fails for any reason including water damage during normal use in the first three years, STANDARD HORIZON will repair or replace it free, without hassle or charges�period! If it fails thereafter under normal use, the product is covered by Standard Horizon’s Lifetime Flat Rate Service Program.